Though they can appear earlier or later, depending on many factors like genetics and lifestyle – wrinkles, crows feet around the eyes and other facial lines generally begin to form in your early thirties. These factors are more responible for the wrinkles on the lower half of the face. Gravity also naturally takes hold from ageing, causing wrinkles to the lower parts of your face. What causes wrinkles under and around the eyes? Wrinkles around the upper area of the face tend to be the result of repeated expression muscle actions. Constant facial expressions cause the muscles to force wrinkles and lines to appear. This is so that the skin can contract and relax more effectively, making more space for your muscles to move. Repetitive pursing of the lips through smoking, squinting and frowing, for example. These expressions lead to commonly complained about wrinkles under the eyes, smile lines around the eyes, crows feet or frown lines, and general forehead lines. Even when some people are relaxed, wrinkles are still visible and become more prominent depending on the facial expression. For other – perhaps luckier – people, the wrinkles and lines aren’t visible at all when relaxed and nowhere near as prominent when expressing themselves. These facial lines and wrinkles can be treated with Botulinum Toxin A – commonly marketed with the name Botox. This is a brand name of the botulinum toxin, which may also be branded under the names Dysport, Vistable and Xeomin. What is botox or Botulinum Toxin A? Botox or Botulinum Toxin A is produced by the clostridum botulinum bacteria and is a purified protein. While seeing the word ‘toxin’ may understandably ring alarm bells, the dose used for cosmetic treatments is a much diluted form – in fact, for it to become a toxic dose, it would need to be administered in a quantity over 3000 times larger than for aesthetic procedures. Nevertheless, Botox can only be prescribed by a professional following a consultation as it is a prescription medication. Our doctor is of course qualified to administer botox with years of experience and qualifications. 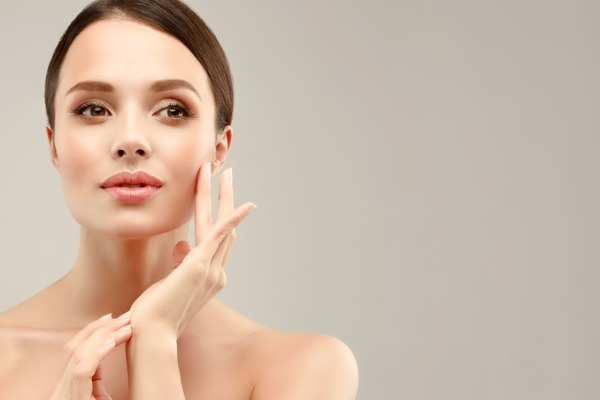 It may surprise some to learn that Botox is available on prescription, but Botulinum toxin has previously been used for decades in treating medical issues effectively. It’s only garnered popularity as an aesthetic enhancement in more recent years. The aim of the Botox injection is to block the nerve signals responsible for the small facial muscles from contracting. This causes the muscles related to wrinkles and facial lines to relax. This smooths out your face wrinkles. The procedure is reversible and not permanent. The muscles that were left untreated will still contract normally in those areas of the face. Which means normal facial expressions can be maintained and aren’t affected. Wrinkle treatment and injections to relax your face muscles dramatically soften facial expression lines that include crow’s feet, smile wrinkles around and under the eyes, frown lines and temple lines. This provides you with a more youthful appearance in a natural looking way. Which areas of the face are treatable? The ideal areas that work for botox treatment are the lines on the forehead, crows feet, deep creases and wrinkles between the eyebrows in the frown area, laughter lines and crows feet that radiate away from the eyes. While these are mostly areas in the upper face, this treatment is also effective for the lower half of the face. Botox may also work well for tight chins, neck lines, pout lines on the lips and marionette lines around mouth angles. Results are dramatic, but this wrinkle treatment will not radically change the look of your face. A natural look is still retained as the muscles are just relaxed – you can still make the expression you normally would, just minus the wrinkles and creases appearing in the treated areas. Looking surprised, smiling and frowning can still be done, contrary to false information about this treatment. What Happens During the Botox Wrinkle Reduction Procedure? A very fine needle is passed through the skin and into the superficial muscles of the face. A miniscule amount of Botox is then injected into each overactive muscle responsible for wrinkles, causing it to relax. How long does the Botox wrinkle treatment last? The relaxation of the facial muscles lasts for between 2 and 6 months, or often even longer. Do note that it takes between 3-5 days for the treatment to take effect and up to two weeks for it to become fully apparent. Over this period of a few months, the nerve impulses return allowing the muscle to contract again. However, during this time these specific muscles get smaller as they’re unable to exercise themselves. This means that after a number of treatments and injections, these muscles may have relaxed to the extent that they no longer have enough strength to create wrinkles and deep expression lines. Call us today or fill out the contact form below for your free, no-obligation wrinkle reduction consultation. All consultations take place with a surgeon. We believe that only a surgeon can help and advise you on the best wrinkle reduction procedure to achieve the results you would like. During your initial consultation, we will ask you about the results you are looking for with the wrinkle treatment and explain the procedure so that you understand every stage of the process. The most important thing is that you feel completely at ease with the procedure and in our care. Our aim is to have you leave fully aware of the procedure and the resulting enhancement with whatever wrinkle reduction treatment you choose. All of our consultations are free with no obligation. You will be provided with advice and information relevant to achieve the results you desire. After consulting with our consultant you can have the wrinkle treatment on the day of your appointment if you wish. What happens after Wrinkle Reduction Treatment? No local anaesthetic is needed and you can resume normal activities immediately. Treatment takes around 15 minutes, depending on the number of areas and lines you wish to treat. Once you have been treated with the botox, it usually takes two to five days before treatment actually takes effect and 2- 4 weeks to notice the full effect on your facial lines. You may need to have top-up injections to maintain your desired appearance. Clinical studies indicate that the duration of treatment benefit is increased over time so that you should require injections less frequently in the future. For your free wrinkle treatment consultation, please use the contact form below or call us today.